“Caron” focuses on the stability. You can keep beautiful posture since ball and heels do not become kinked. Since the area of the ball of the thumb is wide, it naturally helps you to dance with inside of the ball. 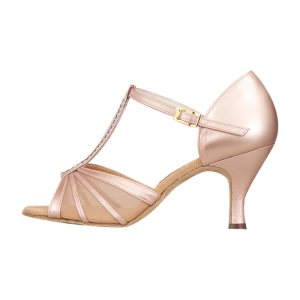 It is also recommended for those who are looking for their first Latin shoes. 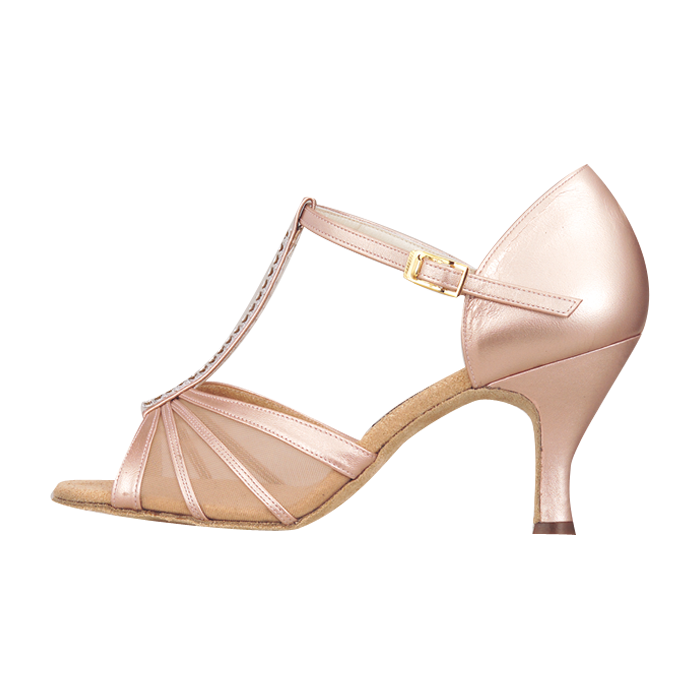 The tulle has 4 belts, which makes the shoes very stylish and gives you a sense of stability. 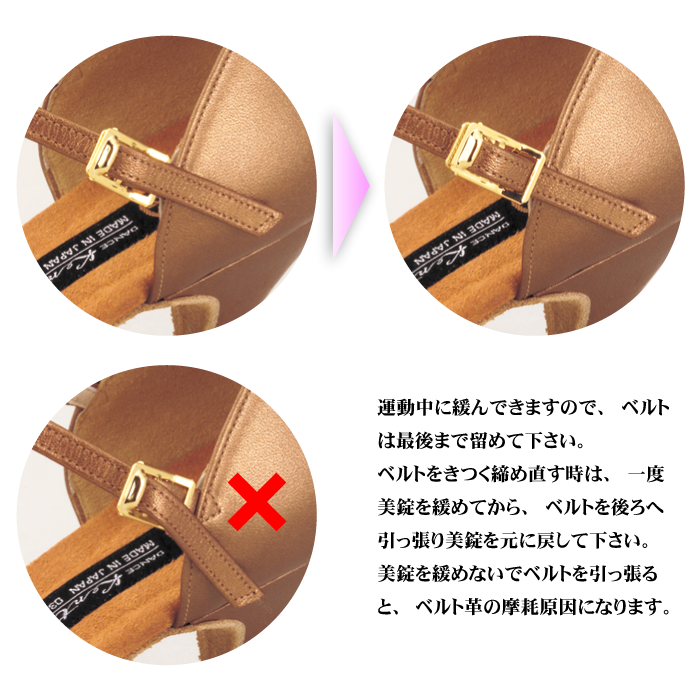 “Caron BTC Oak Pearl” has slide type of the buckle, so you can tighten the shoes easily. The originally developed arch supports your weight evenly throughout the sole, so our shoes don’t tire your feet. *The height of the heel is showing respect to the 23cm. Attaching the slide type of the buckle.